Few games generated as much hype in the run up to their release quite like Mass Effect: Andromeda, but everyone knows the final product fell very short of expectations. Now, having only launched in March this year, it’s about to arrive on the subscription-based Origin Access service. Costing $5 per month, Origin Access lets members play over 75 games “whenever they want for as long as they want.” The majority of the library consists of older titles such as Crysis 3 and The Sims 4, as well as indie games and “Play First” trials. Andromeda’s addition doesn't look good for a game that was released less than seven months ago. While Origin Access does include some newer titles, it’s shocking to see the latest entry in such a prestigious franchise land on a subscription service so quickly. Andromeda was roundly condemned and mocked on its release, partly because of its numerous bugs and bizarre facial animations. BioWare did release patches that fixed almost all of the issues, but the game's reputation had taken a hammering, and it just wasn’t on par with the brilliant original trilogy. 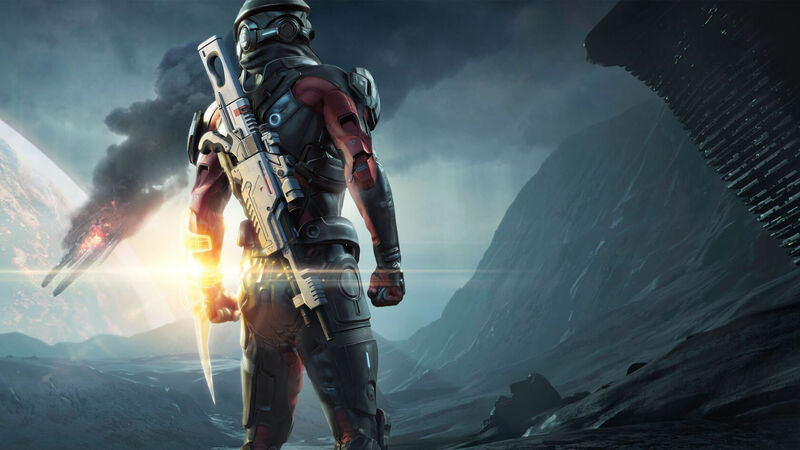 Back in July, to get more people to buy the game, Andromeda’s 10-hour free trial that had been exclusive to Origin Access was made available to everyone. But it seems the plan wasn’t enough; a month later, BioWare officially dropped single-player support for Andromeda, meaning no more updates or DLC for the solo campaign. EA executive vice president Patrick Söderlund believes Andromeda was criticized more than it deserved. Personally, I think the version available today is a solid 7/10 game — mostly good, but far from great. Living in the shadow of one of the greatest gaming trilogies ever made was always going to be a hindrance, and there are times when it feels BioWare went for quantity over quality. One good thing about it hitting Origin Access, though: not paying full price means more people trying it for themselves and making their own minds up.